Site structure is a vital aspect of your SEO strategy. The structure of your website shows Google which pages of your site are most important. This means you can influence which articles will rank highest in the search engines with your site’s structure. So, better get it right! It’s also a very actionable part of your SEO strategy. You can all start improving your site structure today. In this SEO basics post, you can read why site structure helps SEO, and we’ll give three quick tips on how to start improving your site’s structure. Site structure refers to how you organize your website’s content. A website often consists of content on a variety of – related – topics, presented on posts and pages. Site structure deals with how this content is grouped, linked and presented to the visitor. If you structure your website well, it will benefit from this; users will find their way more easily and Google can index your URLs better. 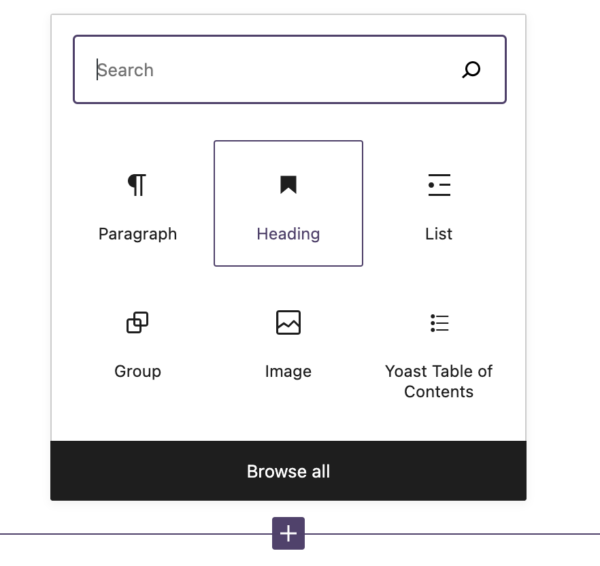 Taxonomies, like categories and tags, but also internal links, your navigation and breadcrumbs are the tools to structure your site. Learn how to do this well. We’ve just launched a brand new site structure training. You can get the course for $129 this week! As you’re writing more and more blog posts, or add more product pages, your site will get cluttered. You need to organize it neatly, to make sure you, your visitor AND Google will be able to find what they’re looking for. Why is that? Let me tell you a little story. Once upon a time, there was this young woman. Her name is Alice. Alice gets up every morning, sits down at her desk and starts to write a beautiful story. She writes one story every day. Alice types all her stories on this beautiful old-fashioned typewriter. Whenever she’s done writing, she pulls the paper out of the machine and puts her lovely new story on her desk. As you can imagine, her desk will slowly get cluttered with all these sheets of paper. After a year of writing, she’ll have 365 sheets of paper on it. After three years of writing, she’ll have more than a thousand. Alice will not be able to find her favorite story, because of the abundance of stories on her desk. If you do not structure your stuff neatly, your stories, your blog posts, your product pages will get lost. Your visitors will not be able to find what they are looking for, and, important for your SEO: Google will also get lost. Why is site structure important for Google – and users? There are three reasons why site structure is important for Google and, therefore, for your chance of ranking in the search engines. The way your site is structured will give Google clues about where to find the most essential content. Your site’s structure determines whether a search engine can understand what your site is about and what you’re selling. Google crawls websites by following links, internal and external, using a bot called Googlebot. And by following those links, Google determines the relationship between the various pages. The structure of your site is a guide to Google and therefore very crucial. The second reason why site structure is essential for Google is because, without a decent structure, you’ll be competing with yourself for a high ranking in the search engines. You probably have blog posts or articles on your site that are on the same topic. At Yoast, for example, we write a lot about SEO. We have multiple posts about site structure, each covering a different aspect. But Google won’t know which of these is most important unless we ‘tell’ Google. Importance should order your content. Think about Alice’s cluttered desk. Alice could clean up by making piles of her sheets of papers. She could order her stories by topic: stories about bumble bees, stories about flowers, stories about fairies. But, if Alice were to make piles of paper, without ordering them, without putting the most beautiful stories on the top of the pile, no one would ever know which story is the most important to her. If you don’t tell Google which posts are most important, all of your posts will be competing for attention. You’d be competing with your pages for a high ranking in Google. The solution is rather simple: you let Google know which page you consider most important. You tell Google which story you want on top of your pile. To do this, you need a good internal linking structure. So a decent site structure will help your site to rank high in Google. But don’t forget, site structure is important for the User eXperience (UX) too. The structure of your website should be reflected in the navigation of your website. If this structure is clear, your audience will easily find their way on your site. A good UX will increase your chances for people to convert: buy your products; subscribe to your newsletter or return for another visit. And Google likes sites that perform well too! How to get started with site structure? What are the things you need to do to improve your site’s structure? What can you do to avoid your site structure becoming an issue? I’ll give three basic tips on how to quickly improve your site structure. Lots of shops will sell a different collection of products (clothes; shoes) every season. If you don’t expect to sell the same product again, you should remove the page. However, you may have had some links to the page you want to remove. And you know, links to your page are valuable for your SEO! You want to make sure you benefit from these links, even though the page doesn’t exist anymore. That’s why you should redirect the URL. You should ensure that categories are about the same size. Think of Alice and her stories. Alice could categorize her stories by making piles of these categories. Imagine one pile becoming huge, while the others remain much smaller. It would be hard to find a specific story in that big pile, while it would be much easier to search through a small pile. At the same time, that big heap is probably very important, because Alice wrote a lot of stories about that specific topic. Categories become too large when you write a lot about one specific subject and less about others. At one point, you should divide that one category into two categories. A good rule of thumb for the size of categories is to make sure that no category is more than twice the size of any other category. When one category is significantly larger than other ones, your site becomes unbalanced. You’ll have a hard time ranking with blog posts within a huge category. The pile has become too large to search through. In this case, you should evaluate and optimize your categories: perhaps merge or split some of them. You should link to the most essential content on your site to show Google that these articles are your best and most complete articles. A great internal linking structure is crucial for Google, but it makes sense to users too; you want them to read your best posts, right? Read Meike’s blogpost about Internal linking for SEO to learn how to improve your internal linking structure. Yoast SEO premium can really help you to set up and improve the structure of your site. The redirects functionality will allow you to easily redirect pages you delete (so you’ll pass on the linking juice to another page). And our related links functionality will make sure you are interlinking articles with similar topics. On top of that, we have a brand new Site structure training! It will guide you through this process as it can be fairly complicated and overwhelming at times. So, take a look at our Site structure training. It’s important to remember that site structure is part of a bigger, ongoing process. Your site will grow and therefore, the structure will require maintenance. Improving and maintaining the structure of a site should be a core aspect of every SEO strategy. It’s a very actionable part of SEO; it’s something you can control and improve rather quickly. So, let’s get started!